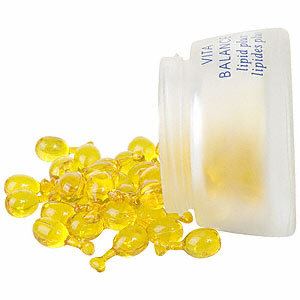 The Babor Vita Balance Lipid Plus is like a vitamin cocktail for your skin. It was made for those of us who struggle with dry skin. I guess you can think of it as a pop of moisture. It is complete with natural oils and lipids to moisturize the skin. The balance lipid plus contains Ginkgo Biloba and vitamin E. Ginkgo Biloba is known for it's firming qualities. It is an antioxidant that has detoxifying qualities. Ginkgo Biloba is best known for it's anti-aging properties that help with younger looking skin. Sesami Oil, Meadowfoam Seed Oil, Complex With Ginkgo Biloba, Vitamin E.
"It really did hydrate my skin. It is unlike a moisturizer." "Did not see a difference in my wrinkles, but it did moisturize well."